The Better Way to Report and Investigate Incidents. Managing incident reporting and investigation in your organization has never been easier! 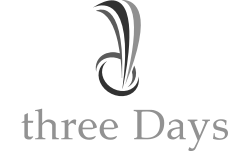 threeDays Incident Reporting Software lets you easily record, track, trend and investigate all types of incidents. Ensure incident data is centralized and easily accessible for reporting. Easily build customized incident reporting forms and configure fields and workflow. Assign corrective/preventive action tasks to assets and track completion. Dashboards and reports show incident performance metrics at a glance.